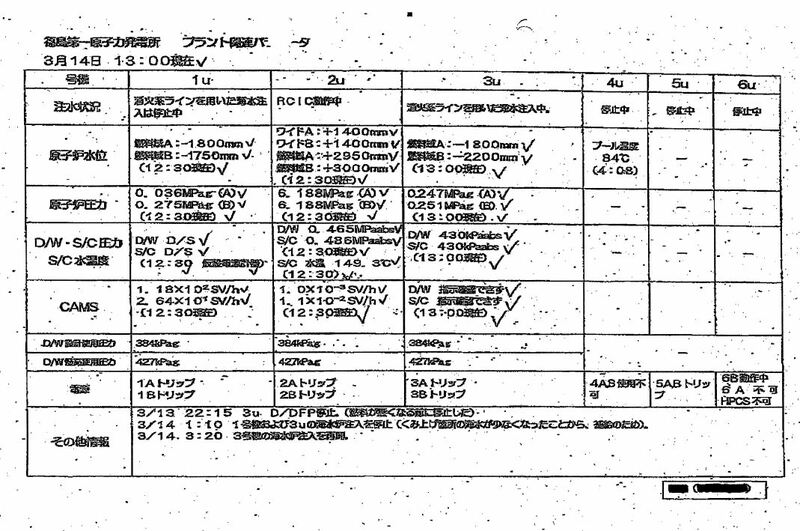 The reactor data tables are from March 11 to about March 25th with newest ones at the bottom. 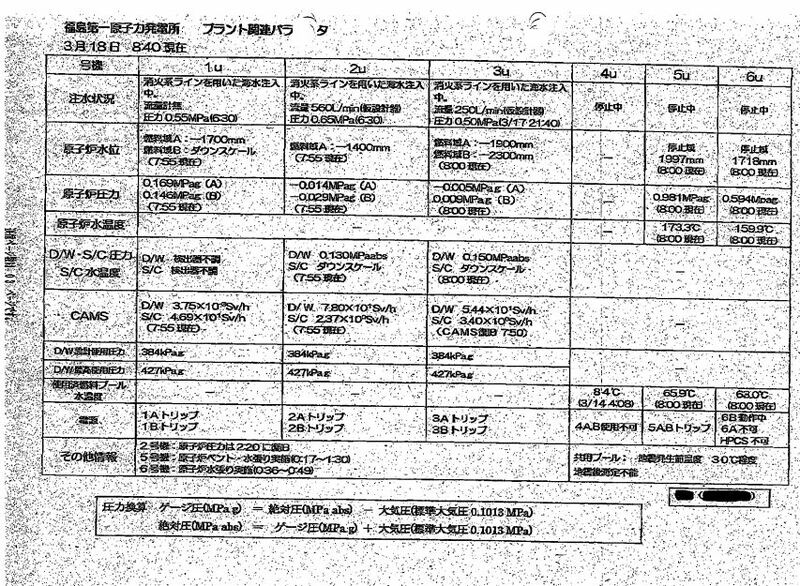 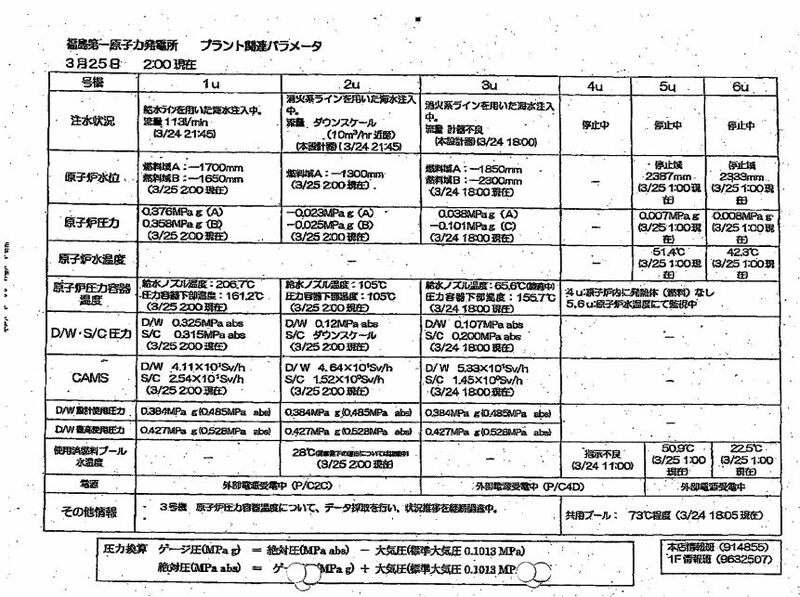 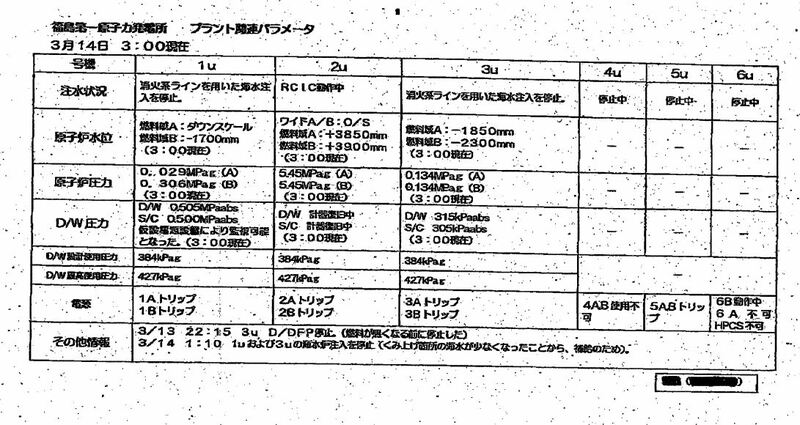 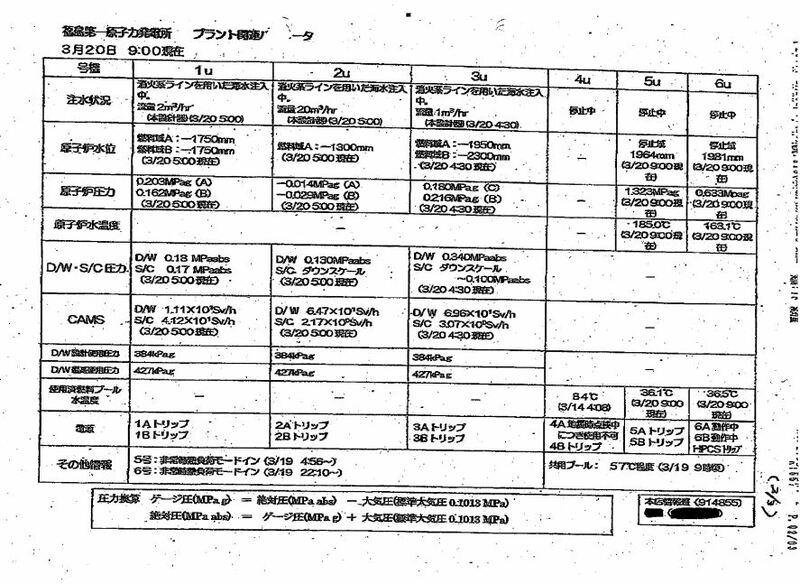 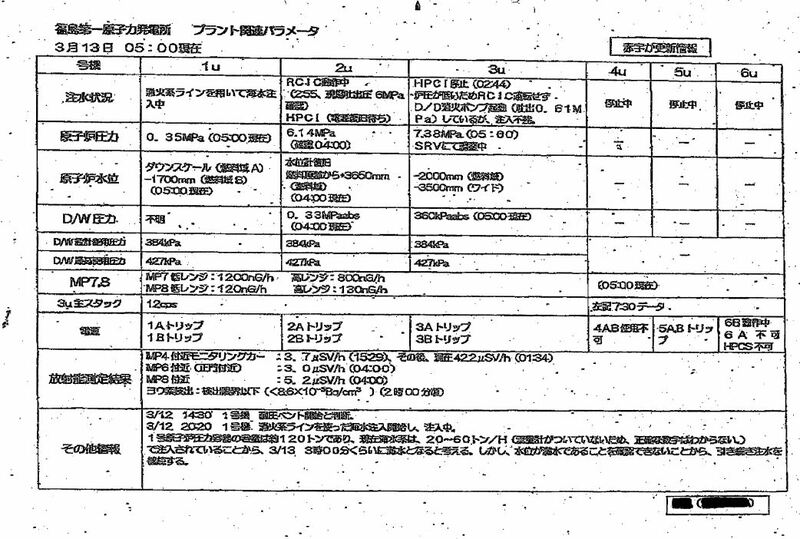 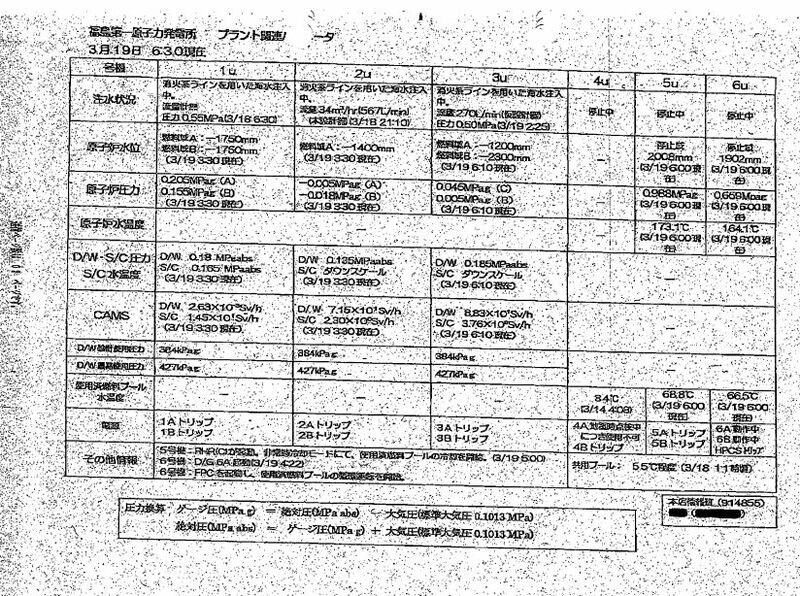 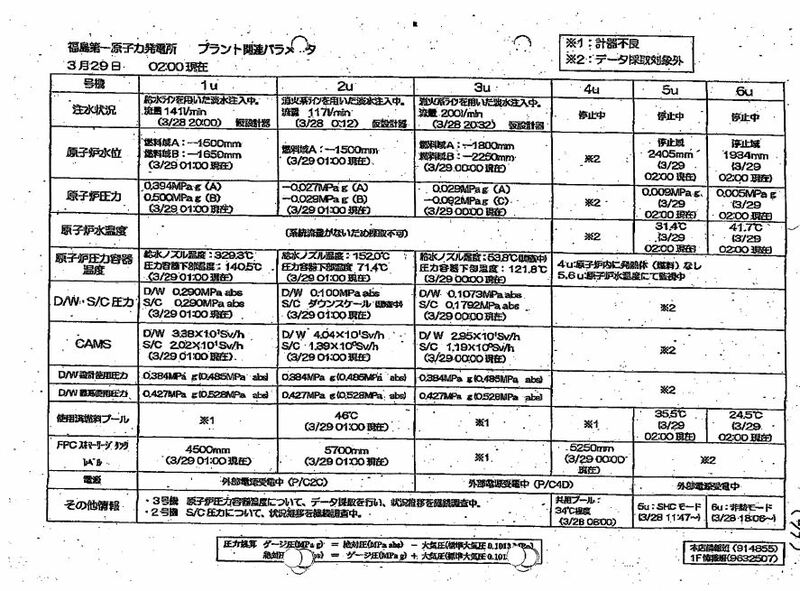 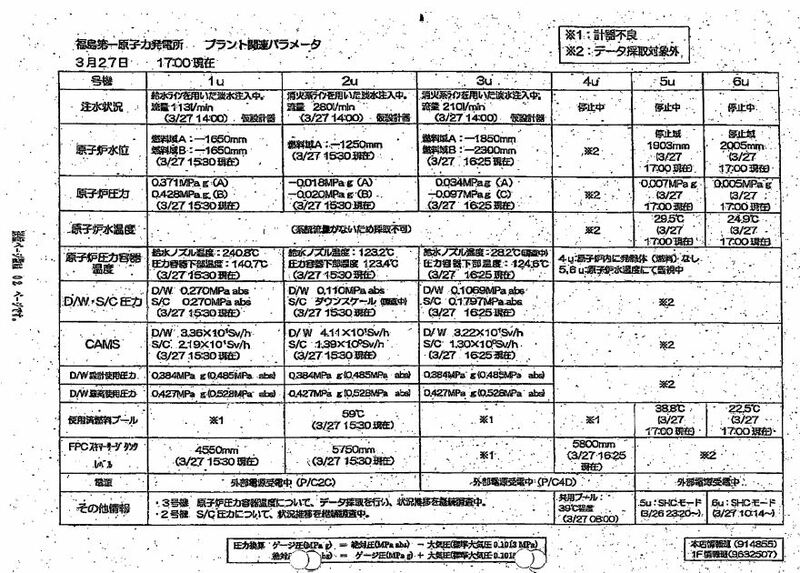 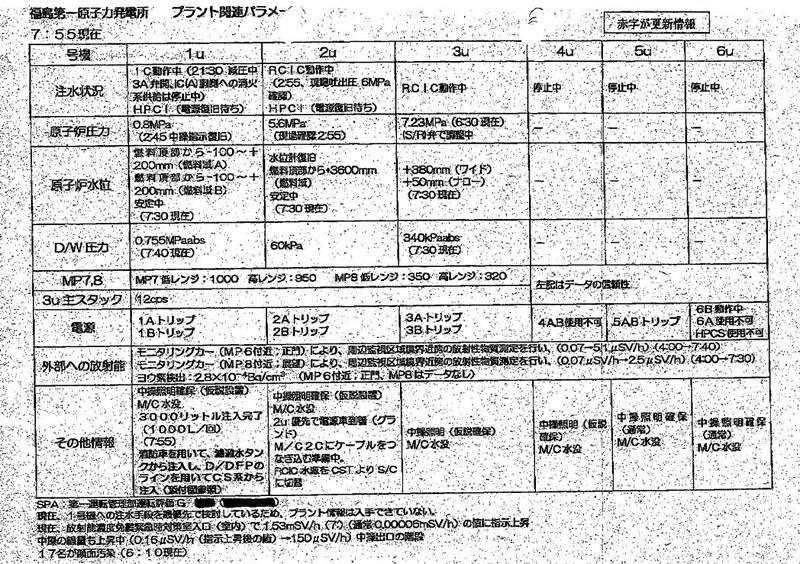 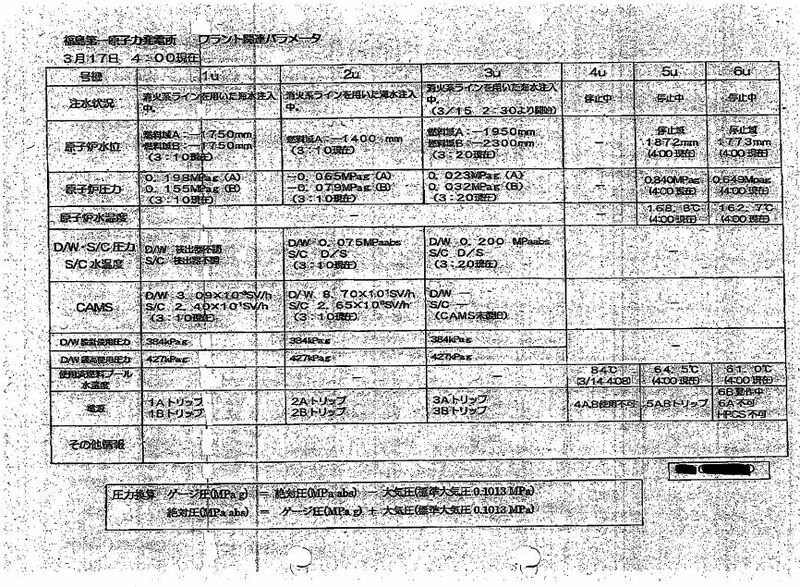 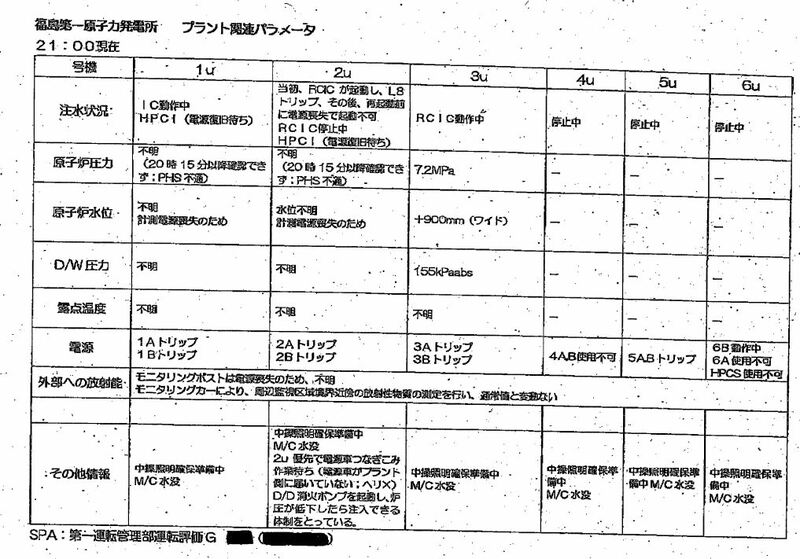 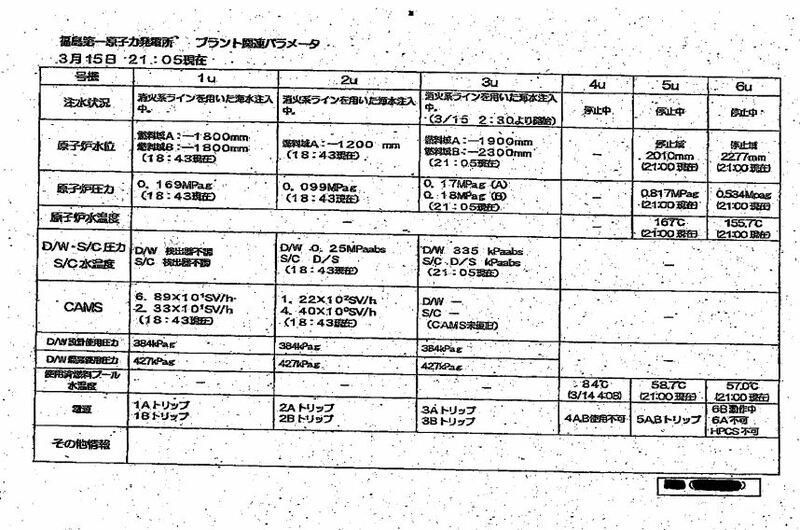 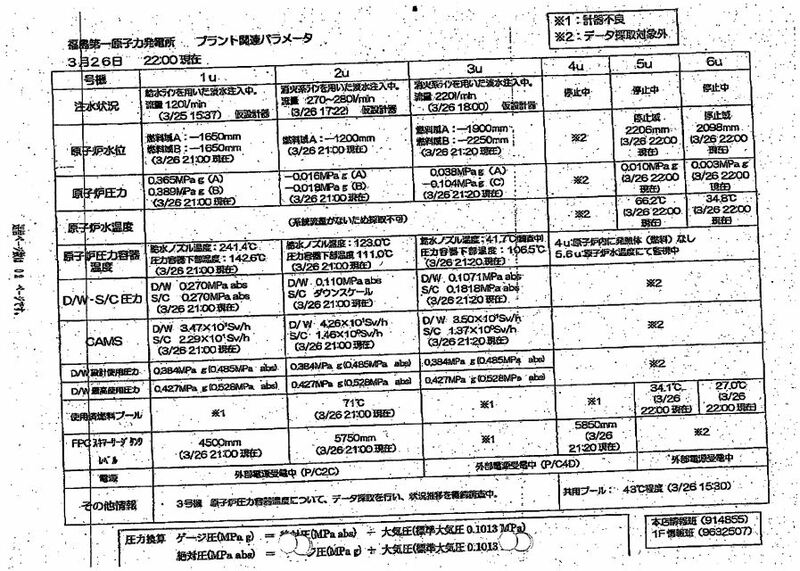 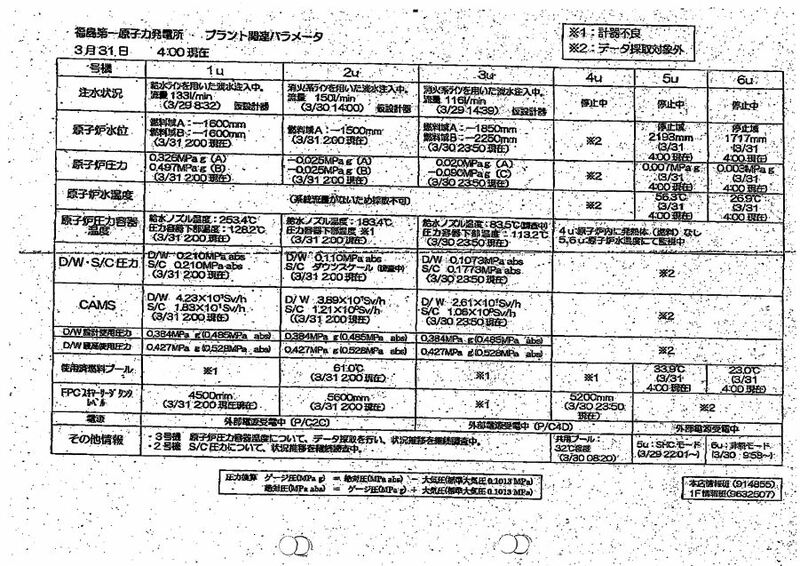 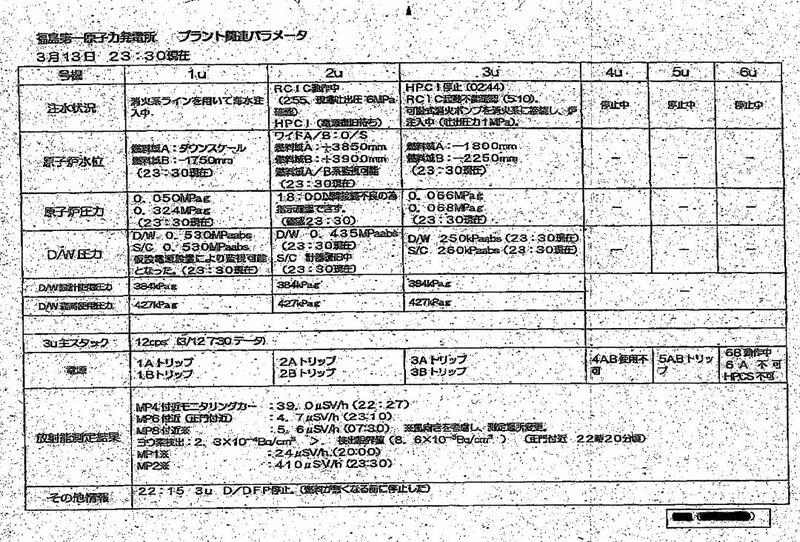 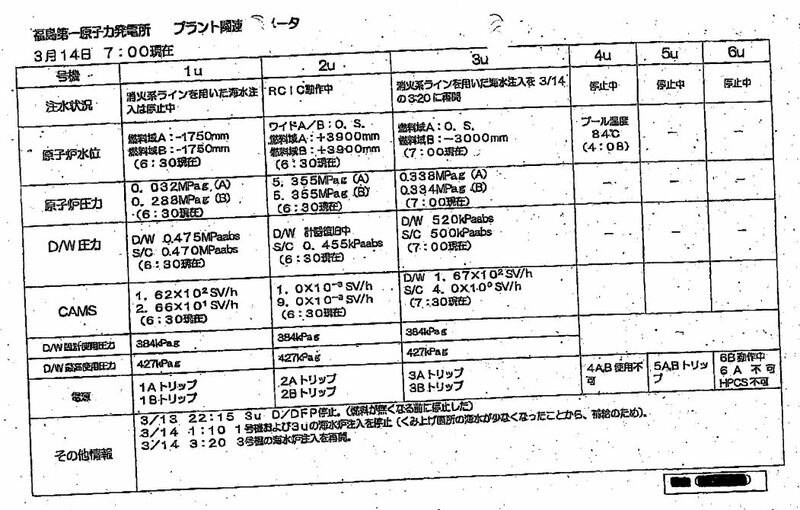 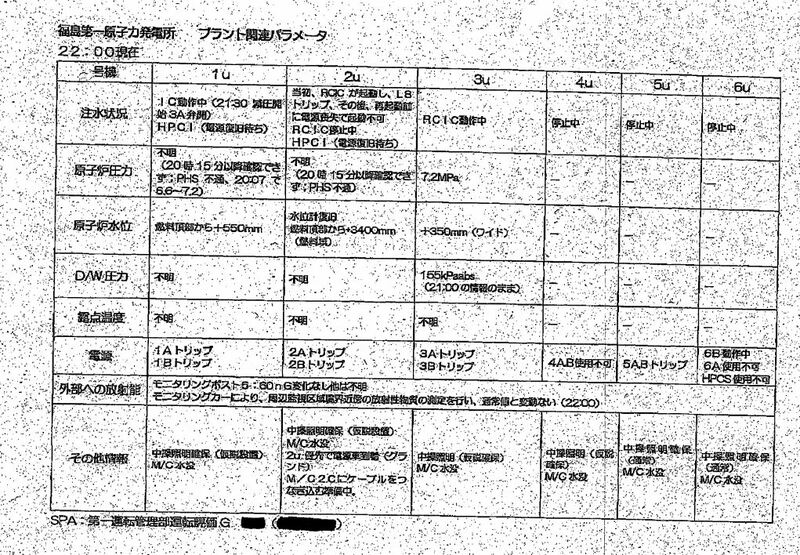 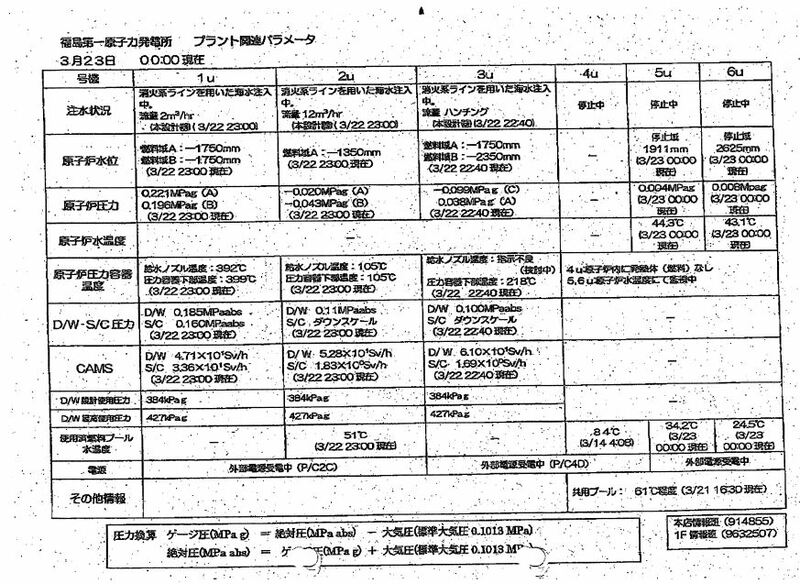 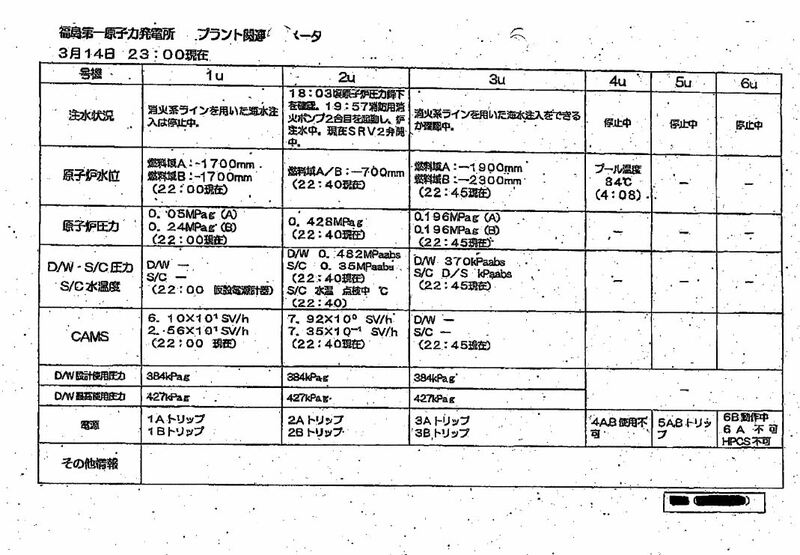 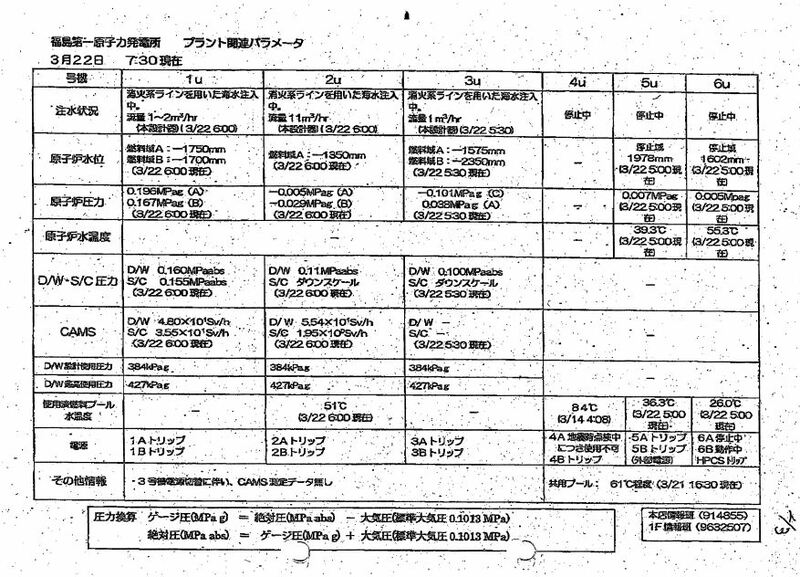 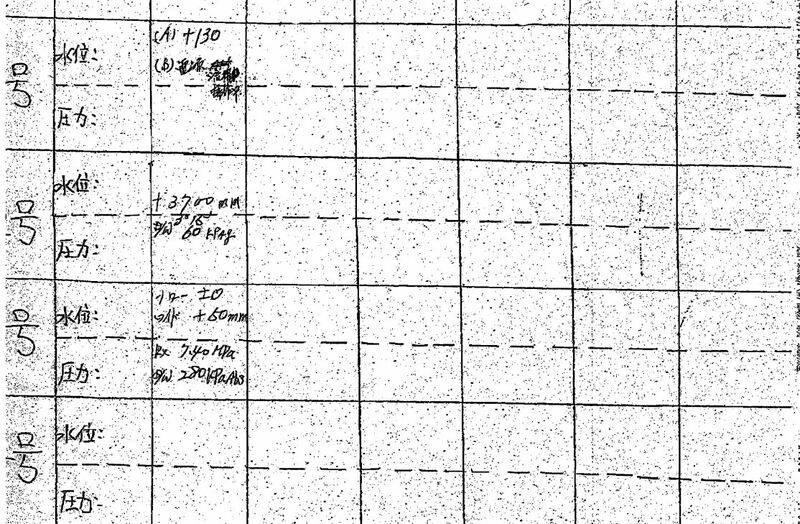 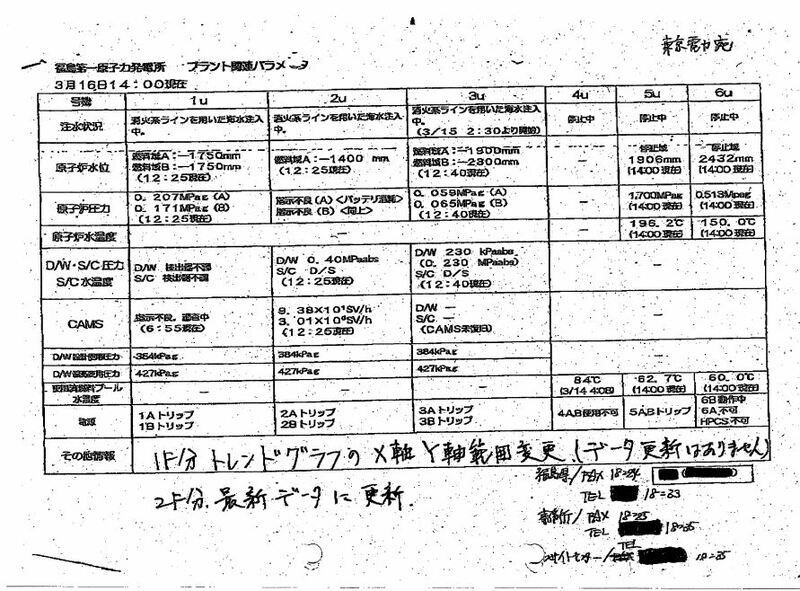 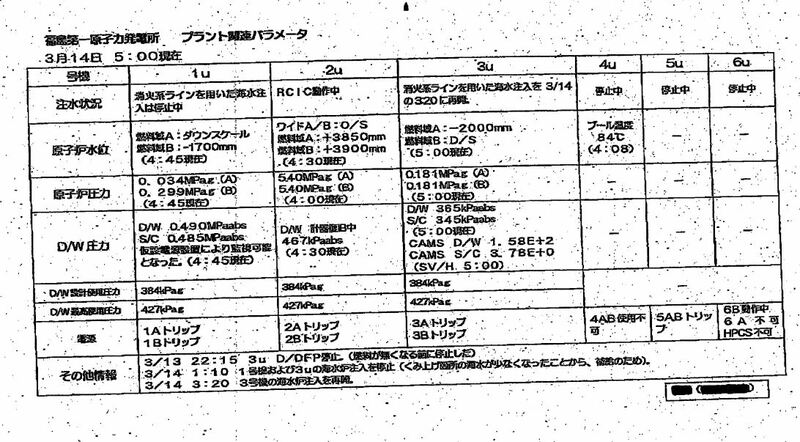 Some of this data was not made available through the normal channels TEPCO used to provide the public with data. 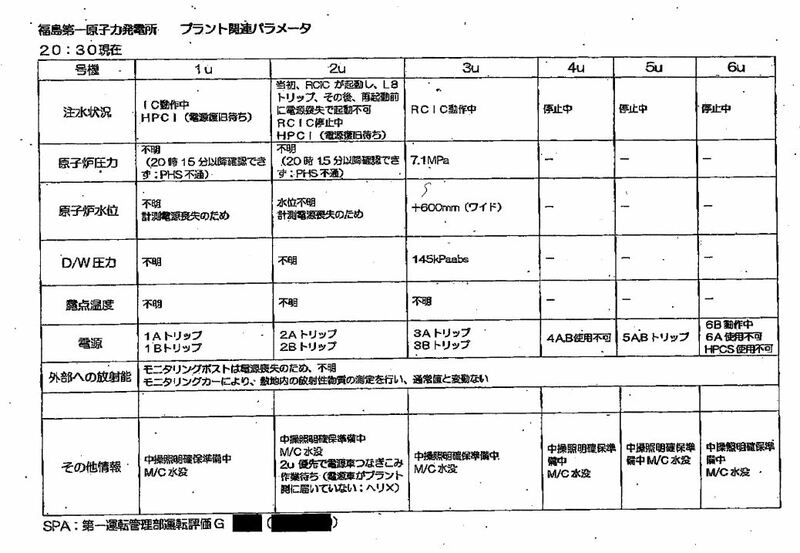 These documents also work as a fact check against what was given to the public vs. what was given to METI in the early days of the disaster.